By mid afternoon on Friday we had executed a jail break, the entire House of Tales had made a run for it. St Ives in Cornwall was the destination for the weekend, however a sprint down the M4, M5 and A30 was to culminate at the Millennium Gallery to attend the Private View of Richard Nott’s Exhibition Histolysis, an exhibition of at least two years work of this enigmatic and reclusive artist. I only say reclusive as Rich spends many hours reading in his Eames Lounge Chair overlooking the sea near Porthminster Beach. This iconic design by Charles and Ray Eames, created in 1956 is a contemporary classic. If you want to buy one these days it will set you back £3750.00. 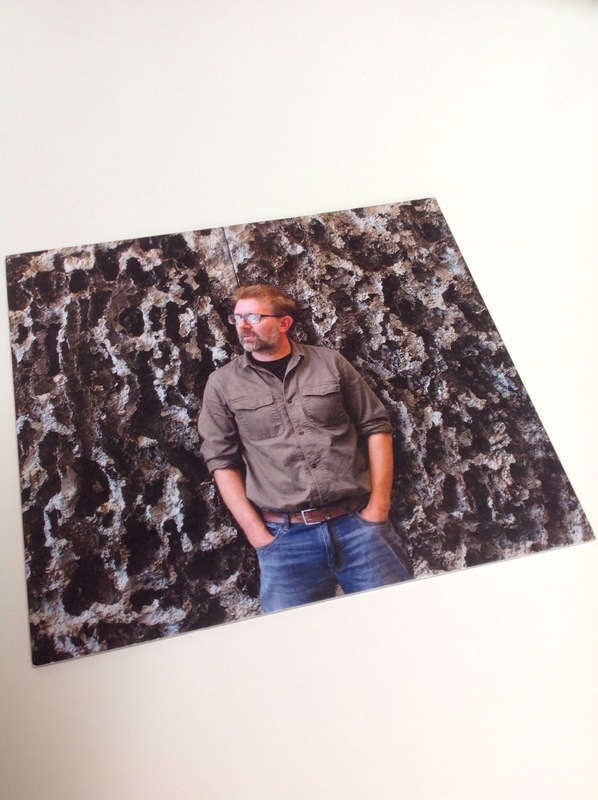 If Richard is not reading and contemplating his work he is hidden deep in his studio working with paint, bitumen, resin, paper, polystyrene, plaster and a hammer! Earlier in the year I was given the opportunity to visit his studio to see some of the works in vary states, sizes and those already finished boxed up for safety. 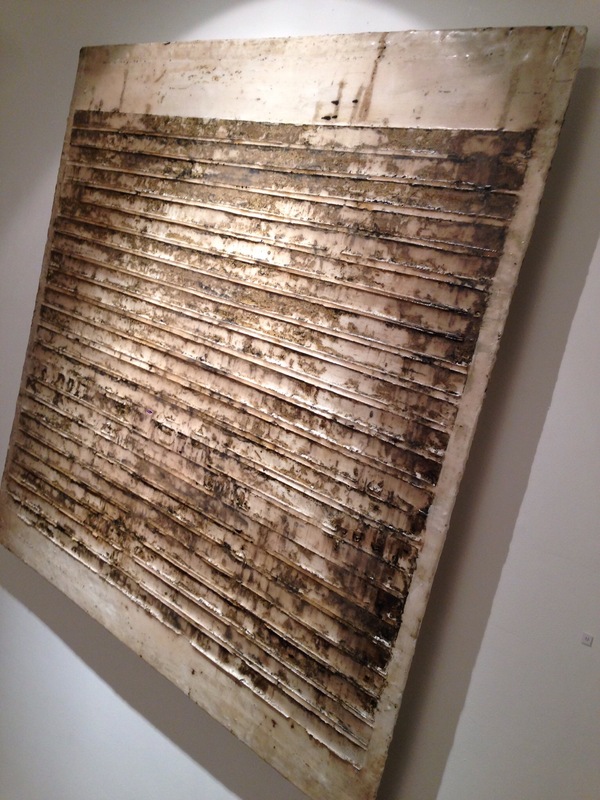 As Richard quotes “Viewing the work is witnessing a protracted collision of process. An evolution of matter exposed, concealed, exposed, concealed – continuously. The consequence of years spent. My history merging with the history of the elements used”. After the six hour drive we eventually arrived at the Millennium Gallery on Street-an-Pol, there a group of people huddle by the door and within dressed in a crisp white shirt was the artist. People stood around admiring the work however I needed to get up close and personal as these works are 4D, they smell! 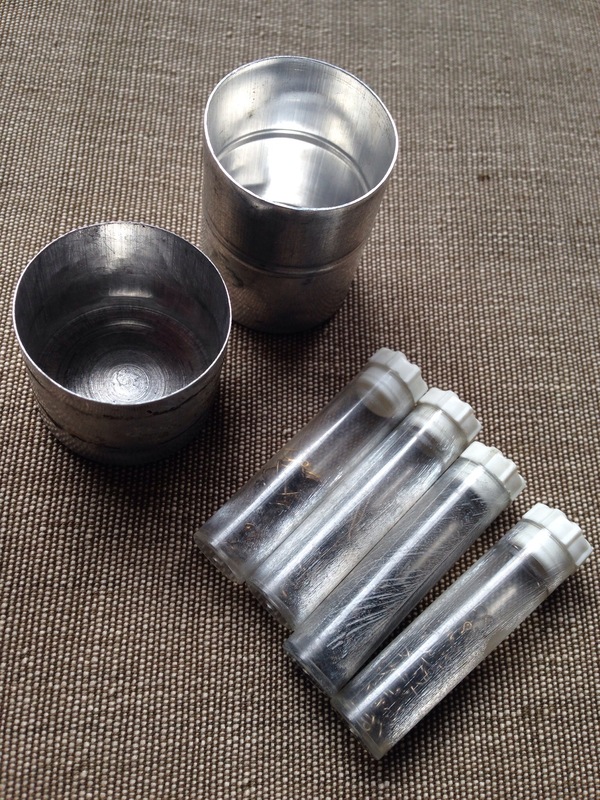 Yes, they have notes of a fine wine – tobacco, emulsion, resin and curing agent and a distinct smell of tar-bitumen. All these elements worked and turned, layered then dissolved and then hammered and to be worked on further. These works are inspiring, works of indulgence and inner expression, for me they really work to the level – “I want one of those”. Works by the title Moraine I, Isthmus III, Histolysis V, Excision II, Dissolution, Detrius II and Integument make up this feast for the eyes, however they are so tactile but you are asked not to touch them. We ended up back at Julia and Richards for an after show party, the gin flowed in fact there were several to choose from each offered with its suggested garnish so the table was more like a green grocers where you would find at least one of you five a day to go with your gin. If you find yourself in St Ives or in Cornwall between now and the 21st October do yourself a favour, make a visit to Millennium, I just hope you enjoy Histolysis as much as I did. 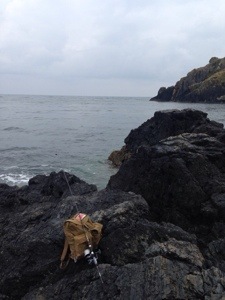 With such good weather the conditions were ideal for a spot of fishing, a small ruck sack was packed with a few bare essentials, spinning reels, weights, swivels, sliders, floats, traces and the ubiquitous Dexters Wedge…don’t leave home without one. Having walked over to see Young Tales surf on Porthmeor Beach by the Tate. I couldn’t help wonder if there were any bass out there amongst the waves. Either end of the beach were rocks the ones to the left had the silhouette of a lonely fisher casting out, the other just the waves starting to break. 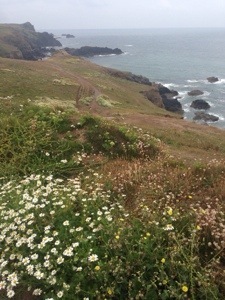 I decided to walk up and over the cliff following the S W Coast Path to the back of The Island. 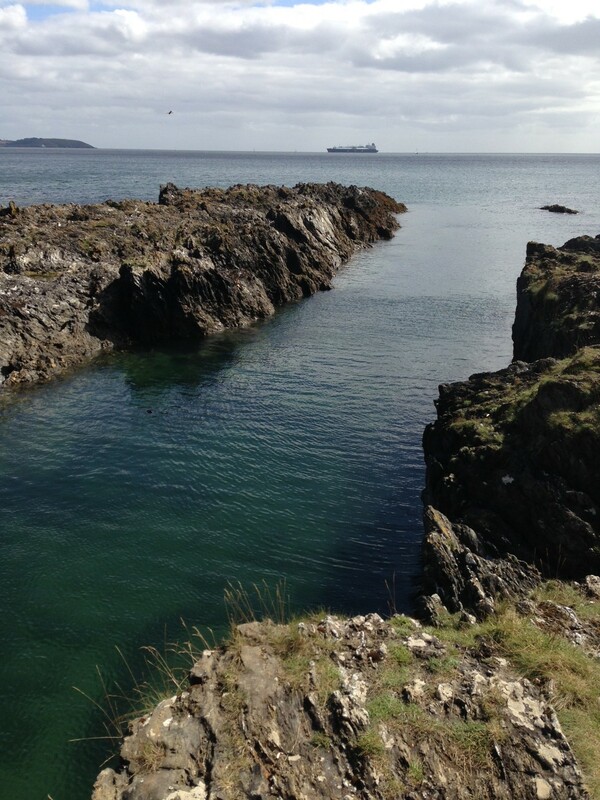 I scrambled down the rocks found a flat ledge and started to fish a deep gully. Using a small 20g wedge I worked the deep pool fanning across between the rocks and the weed beds. 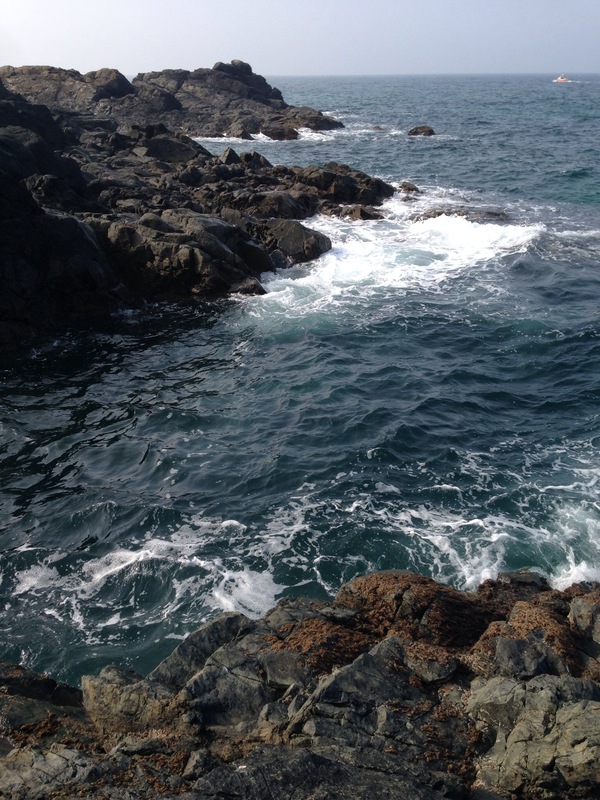 Close in by the rocks I noticed wrasse chasing the spinner powering themselves from the indigo blue seas. After several casts I had a sudden pull, the top of the Tyran rod dipped, it wasn’t a bass otherwise all hell would have broken loose, however it was a bright eyed pollock. After an hour or so Young Tales made his way down the rocks and took over the rod. His casting has improved greatly and I must not forget that he has out-fished me all season. Unfortunately his efforts .were not rewarded. Having decided that the swell was steadily getting bigger I thought it was prudent to move his lordship to a safer position so we headed to a small beach which is flanked by an old pier, here was a platform that was safe for Young Tales to fish from. We switched the spinner and opted for a running rig baited with rag. Within minutes the rod tip gave an indication that something was having a look, sure enough out popped a small beast, a weever. 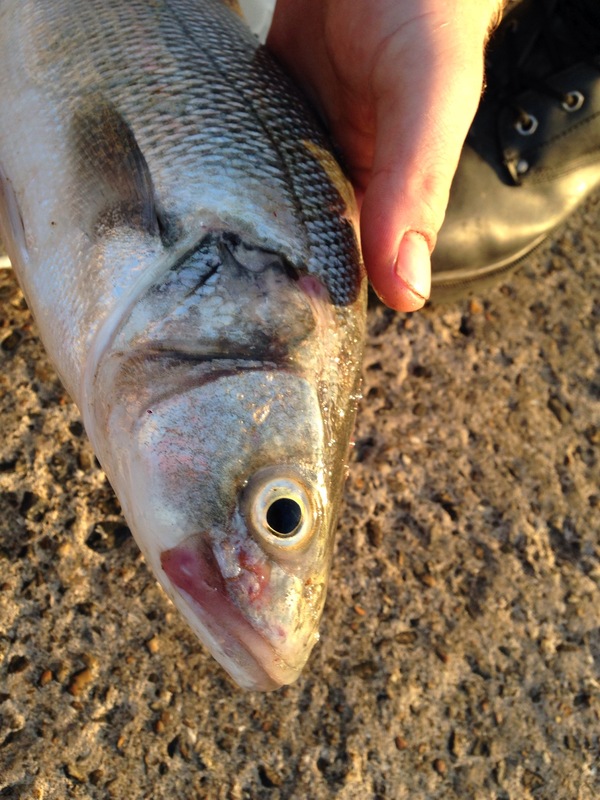 These fish have need to be treated with caution as they will sting you with their spins and if they do without question you will need to seek medical advice as they can cause severe swelling. After a bit if a struggle deemed the fish too badly hooked to save so we decided to return the fish as bait, within minutes the whole top section of the rod rattled on the railings on the pier something sizeable had had a go at our live bait. Reeling in we saw that the fish had be torn apart, what took it we will never know but it was a hard enough knock to be a small bass. 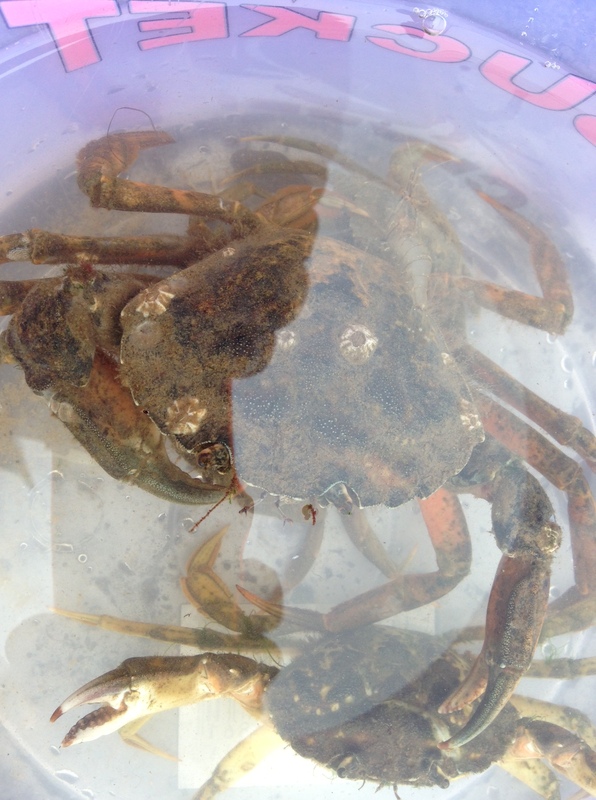 After a while the was the telling knock knock of a menacing crab clearly stripping the remaining flesh of the weever, the line was retrieved, still attached was our savaging crab. The decision was made that if the bass were in on the high tide then we’d get the Dexter out and let Young Tales have a go, again he hooked another weever, this one we returned safely. Again Young Tales cast out over and over again but nothing. With the warmth of the late summer sun radiating on our faces and the tide turning I suggested we made our way for some tea. One final fling with the Dexter ended up with it being firmly wedged in the base of one of the wooden pier pillars, no matter how hard we pulled it was snagged on a discarded crab line so this was to be unquestionably the last cast as our Dexter was wasn’t coming back. Our annual pilgrimage to the most Southerly point of this green and pleasant land now seems a distant memory, yet it was only a few days ago. a trip to Cornwall to us is a quintessential part of our year, a time to see friends, take in the splendour of the coastline and walk the bustling streets of St Ives and observe the annual Whippet race in aid of The RNLI at The Lizard. 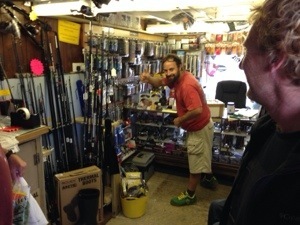 For me no journey is complete without a trip to the back of The Cowshed to visit Phil and Chris who run the Last Stop Tackle Shop, yes the most Southerly tackle shop on the British Isles. Here you will find more than you’d expect, a small space that is crammed full of tackle, rods, reels, lures, traces and weights line the walls. In fact on my recent visit Phil was trying to place another hook on the wall in order to hang some new sand eel lures. To be honest this isn’t just a shop it’s an emporium to the senses, a shrine to the fisherman. It is run with passion, both Chris and Phil love what they do, they don’t over sell but advise on what’s best to cover off your needs. 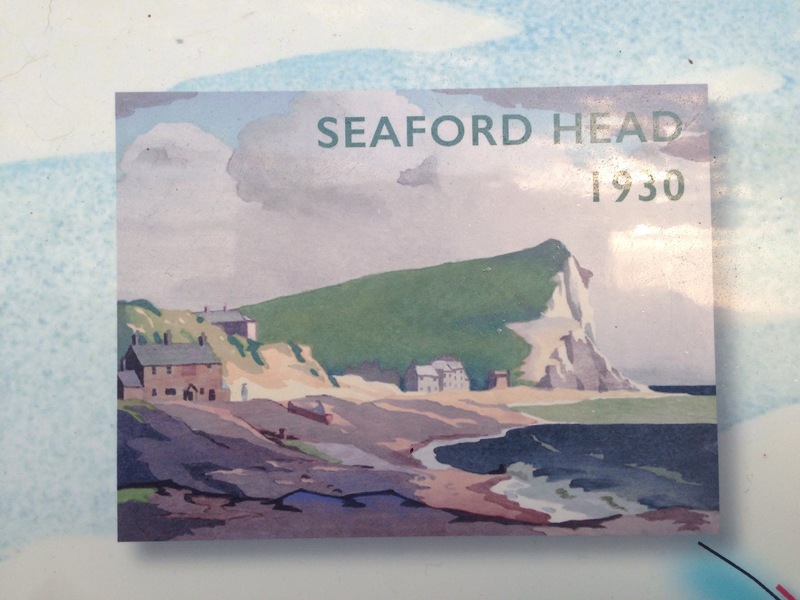 On this occasion the shop was more like a meeting house of the brotherhood, men passionate about the sea and fishing. At one stage you couldn’t move as locals and travellers entered into the doorway to chat, advise and joke amongst each other. 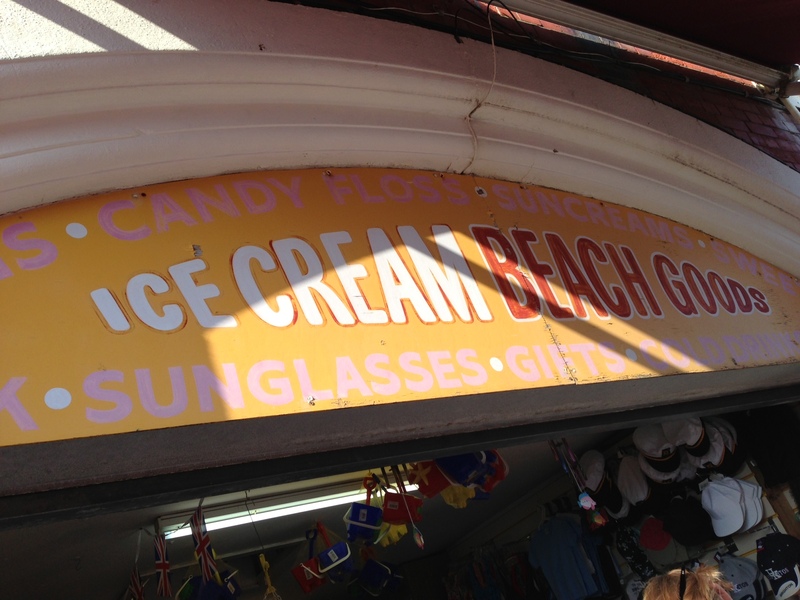 The shop (shed) was warm from the summer sun, the wooden construction giving off the scent of the sea and fading smell of creosote. 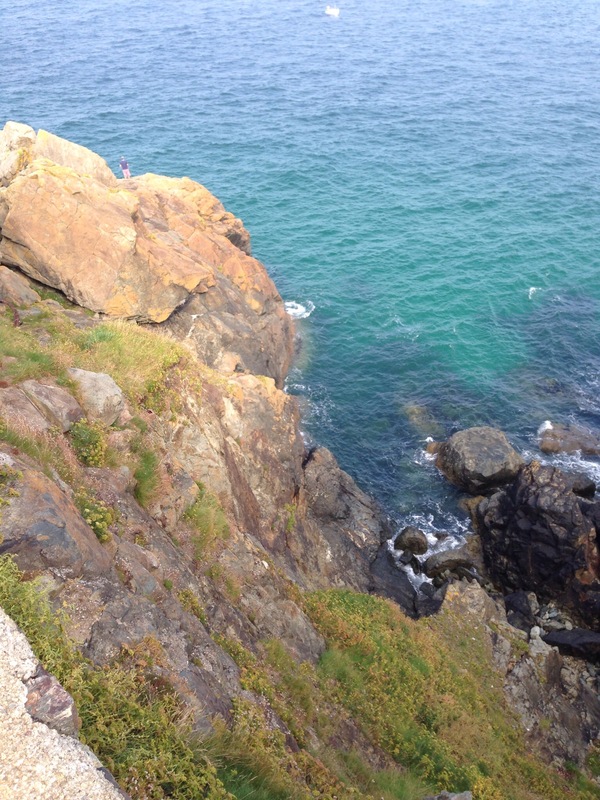 Lure fishing for bass seems all the rage these days and for Young Tales an 8ft Rovex rod was acquired in order to allow him the opportunity to hurl a rubber and lead tipped sand eel in a cove close to the Lizard Lifeboat Station. With guidance from Chris we found a path, well if that’s what you can call it, we were waist high in ferns and bramble and after a while found our way down onto a rocky outcrop. 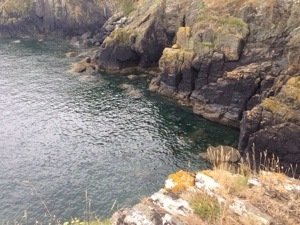 There the sea was clear with gullies of deep green, yet not a bass to be found. Unfortunately we drew a blank so another trip towards September is in order, only that we were tipped off after meeting Nigel a well known Cadgwith fisherman and mentor of Monty Hall who was The Fisherman’s Apprentice, that that’s when the bass will be in. 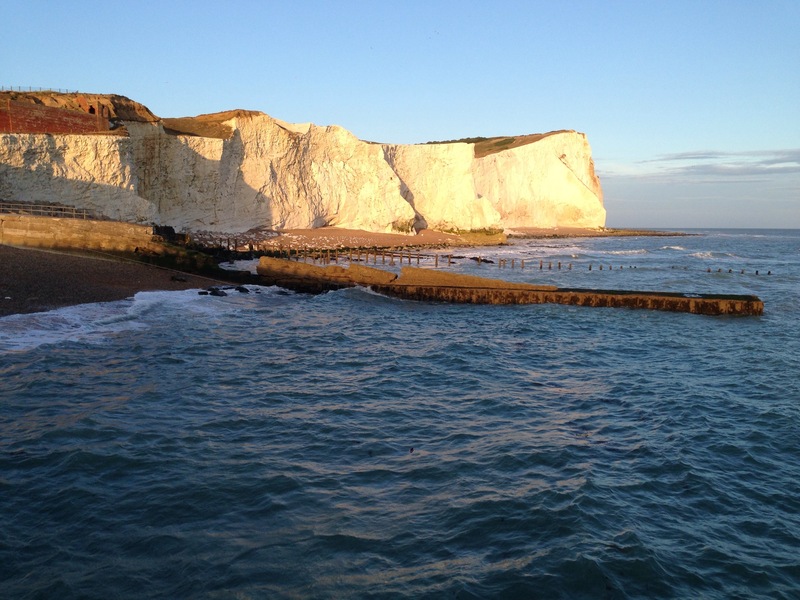 Noticeably this year there is a lack of Mackerel off our shores, this seems to be something that has been reported about from the Sussex Coast to Cornish Coast, does this indicate a level of over fishing or just a late start to the season. Well if you find yourself at the most Southerly point of our land do make the effort to visit the Last Stop Tackle Shop, you won’t be disappointed. 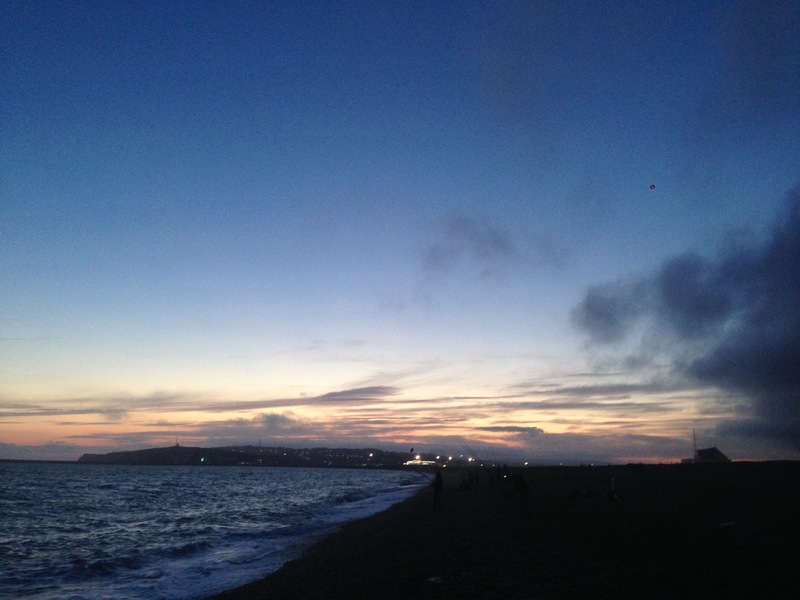 A strong wind pushed the surf into the pebble beach along the Brighton seafront. Ideal conditions for a bit if bass fishing but alas I was without a rod or any tackle. 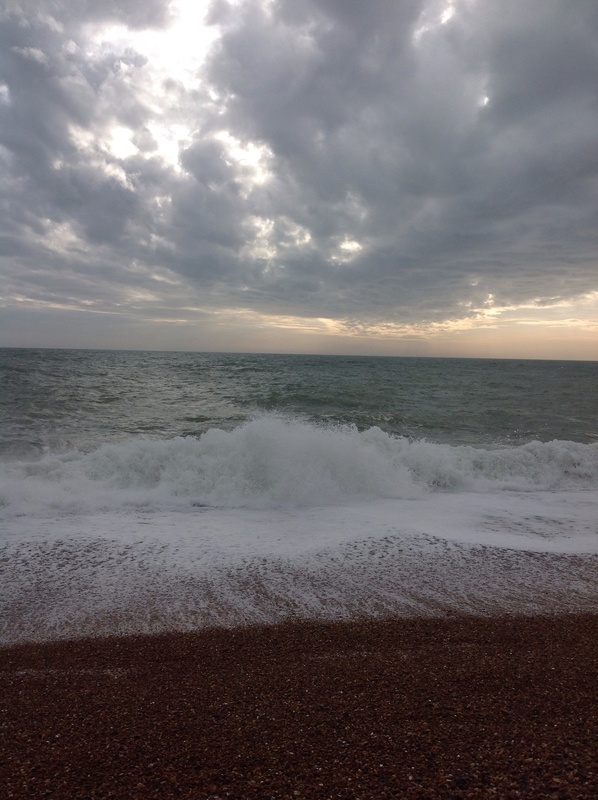 Having some time to spare I decided to take some fresh sea air and walked along the pebbles beach listening to the crashing waves. I could see at a distance one fisherman, he would turn out to be a most charming character of North African decent, his dark terracotta toned skin illuminated by the late afternoon sun. Having started up conversation with this gentleman I noticed the quality of his hand-made rigs made with amazing attention to detail. We spoke for some time and whilst doing so we observed the top of his rod indicate a slow take but a positive strike of a juvenile sea bass that had taken the offering of a black lug. We seem to feel comfortable in conversation and agreed to stay in touch, clearly I know I can learn from this seasoned fisherman and look forward to doing so in the near future. If conditions and tides are similar I can sea some good bass or cod fishing on the horizon so keep your eye out on the fishing forecast. I apologise for the lack of posts on my blog of late but lack of internet service has been the primary reason. Both on the North Norfolk Coast and in the depths of Cornwall internet or mobile service just isn’t great but the upside to this is that if you are away on holiday you do feel you are away from it all. 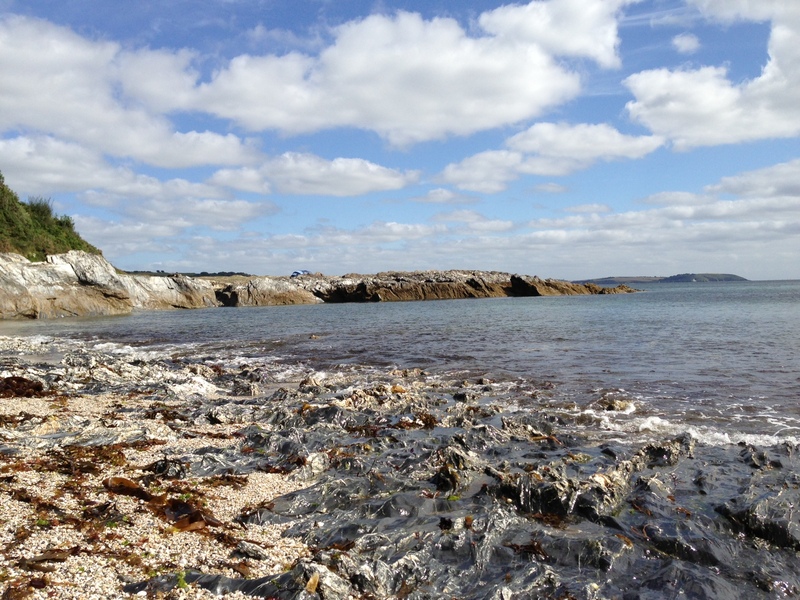 Our recent journey took us to Maenporth on the outskirts of Falmouth. We were camping at Pennance Mill Farm, tucked away in a valley with a trickling stream and only minutes away from a sandy beach surrounded by rocks. 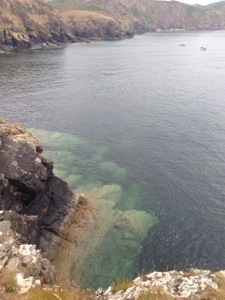 We were in an ideal location for a spot of bass fishing but after a week of searching out the quarry we can only report that this year we blanked. 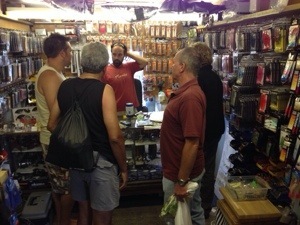 However, we did find some great marks and also some great tackle shops on our journey. 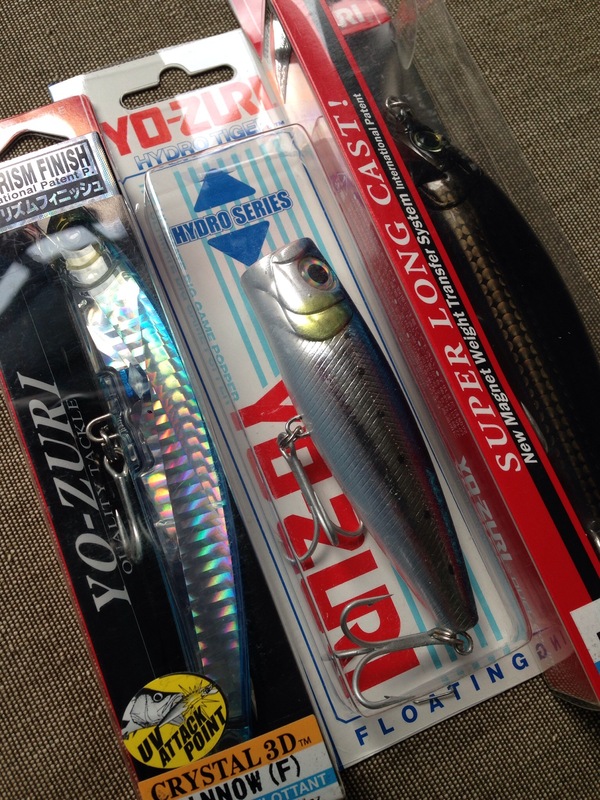 I was pointed in the direction of The Tackle Box, now run by Art Of Fishing who focus on bass fishing with light rods and a great selection of lures and soft baits. What I did find in Falmouth was a second-hand bookshop with a good selection of vintage fishing books of which I purchased those that related to Rock Fishing something I was going to be doing over the next few days. On one outing to Helford we came across the Shipwrights Inn a fantastic pub nestled in the heart of Helford Village that served fine Cornish Ales and Tarquin’s Dry Gin, the first Cornish Gin I’ve been aware of. If you find yourself in Helford Village this Inn is a worth a visit. 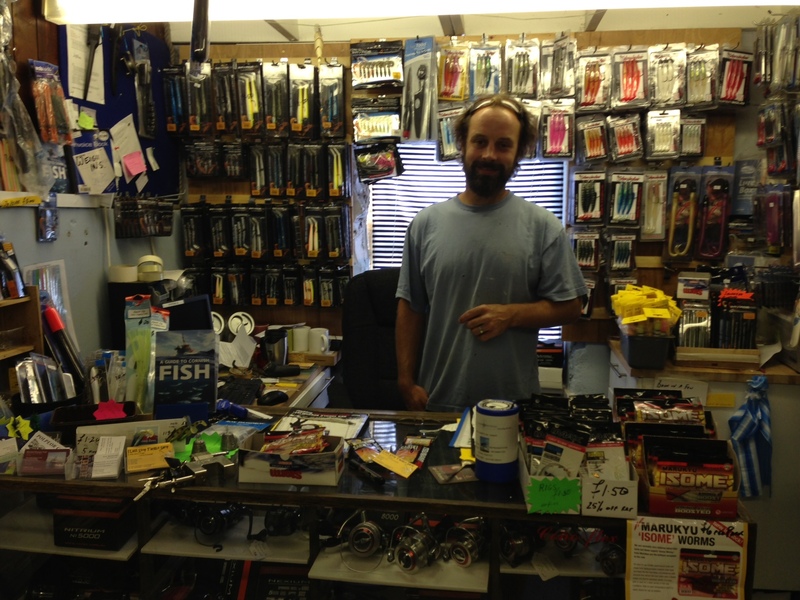 The most southerly tackle shop I found was on the Lizard, this being run by Phillip and aptly called The Last Stop. This gem of a find is tucked away in an out building of a farm-yard and had a more than adequate array of tackle that could more than answer the needs of the most discerning bass fisher. Our visit to the Lizard was capped off by an evenings Whippet Racing in aid of the RNLI, this weekly event was amusing especially when you can enter your own mutt for a race at the end of the competitive stuff. First light, bass fishing on the morning high tide. A couple of early starts of high spring tides resulted in no sightings or knocks by those predatory fish but we did manage to catch a fresh supply of sand eels that swam in the deep gully we found on one secluded beach. This beach was however frequented by those in the know, some deciding to sleep out overnight and catch both tides. After a brief conversation with two fellow fishermen it was clear that the lack of mackerel off shore had an impact on the lack of bass around. Even with large numbers of sand eels visible there seemed to be few fish chasing them down. I did learn of one fisherman that managed to catch a 6.5lb bass off the point to the entrance of the large gully I had fished the day before. I tackled up with a Dexters Wedge at the end of a trace of mackerel feathers but ended up resorting to changing the rig to much smaller feathers in order to catch a few sand eels to use as bait suspended over the rock on an Eva Float later, however this didn’t result in any takes. Simply, the fish weren’t there, well not where I was fishing. Young Tales was having a ball as he was accompanied by a school friend on this holiday and her family were a delight to be around. 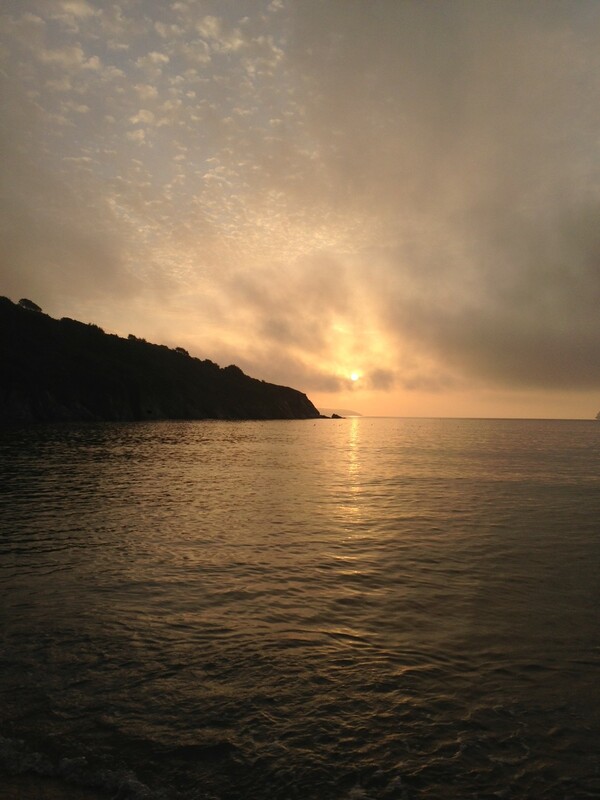 We managed to get in some crab fishing down by the Pandora Inn and an early morning fishing excursion to Swanpool resulted in numerous small Pollock taken on Sabiki lures. We will return again later in the year and maybe the bass will be inshore in greater numbers, who knows what we did take away with us were some treasured moments and memories that will last a lifetime. 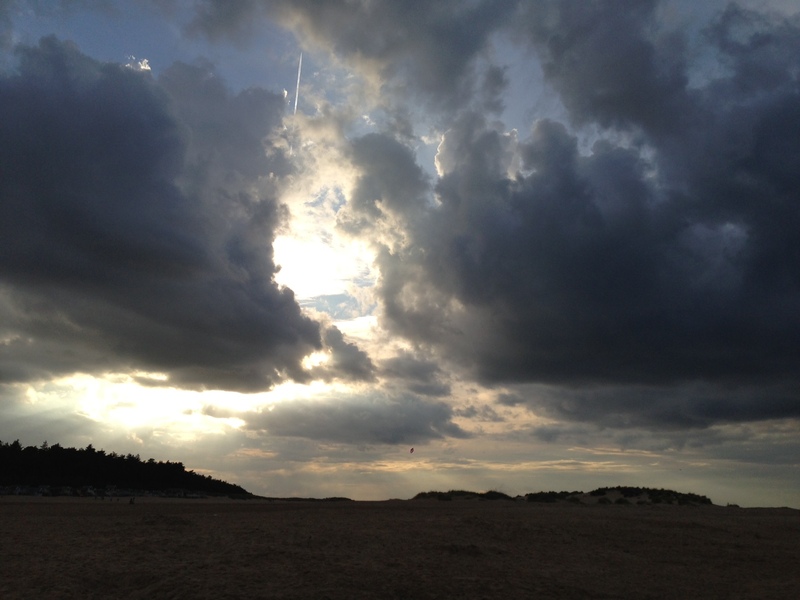 Another year, another adventure on the North Norfolk Coast, but all too brief. We could only manage to get away for a few days in the County of The Big Blue Sky, Nelson’s county. 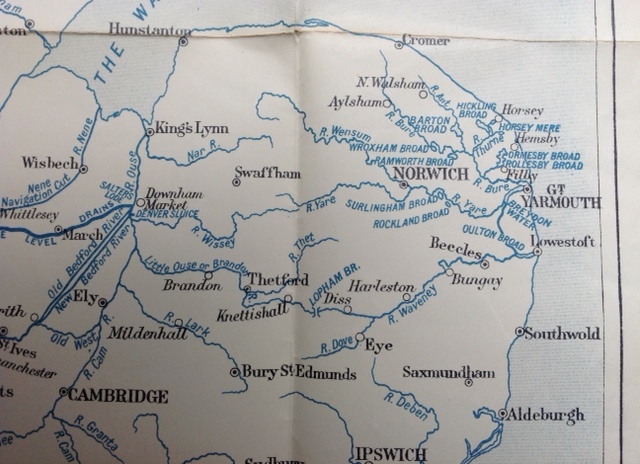 Our destination was Wells-next-the Sea on the North Norfolk Coast and the location of the Pinewood Caravan Park. This has become a sanctuary for Tales household for our annual vacation to this part of the country, it’s one holiday we look forward to. Pinewoods has been a caravan park since the 60’s, much changed and developed however is a quite and well maintained park with excellent facilities. It was within minutes of arriving that young Tales demanded that the crab bucket and net was needed, the annual crab net hurling competition started and within two throws one large crab found its way into the net having been tempted in this year with up-market bait of cod instead of the usual bacon or pork off-cut, the latter being by far thPe best bait. 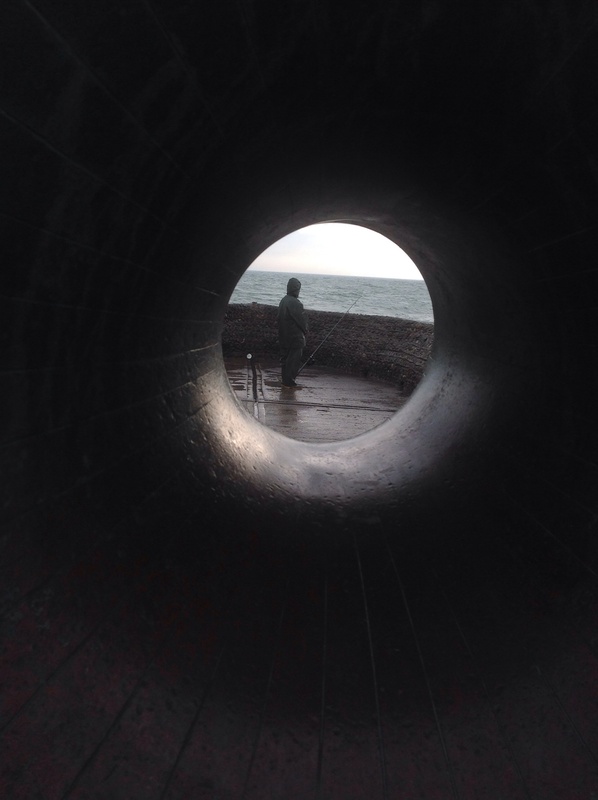 The harbour walls were awash with people leaning over the rails looking down into sea, lines cut the water and on occasion the whole contraption would be cast followed by cries and tears. 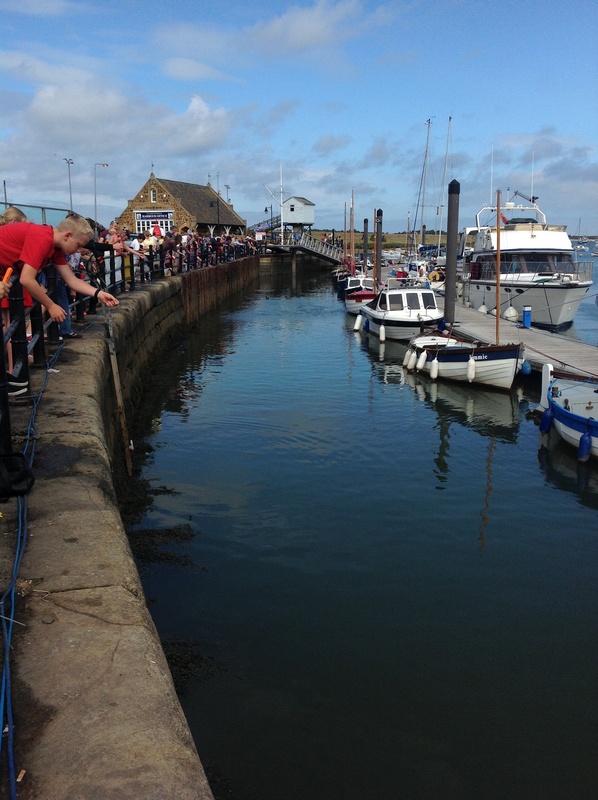 I did manage to help one person retrieve their net by snagging the bright yellow line that flowed in the incoming tide by attaching a small hook and ledger weight and casting it out, after several attempts we succeeded. This year is wasn’t quantity for young tales but quality, having netted one of the largest crabs for several years it seemed to answer the initial desire so my normal hours of net hurling was cut down to a respectable 45 minutes. Under stormy skies my own fishing exploits resulted in a blank, I was not after crabs but a prized silver bar of Norfolk bass. I decided to spin with a line of feathers tipped with a small Dexters Wedge and fished in the deep gully that now runs close the RNLI Lifeboat Station. After an hour or so with not even a knock I felt that I should have been fishing with fresh bait instead. 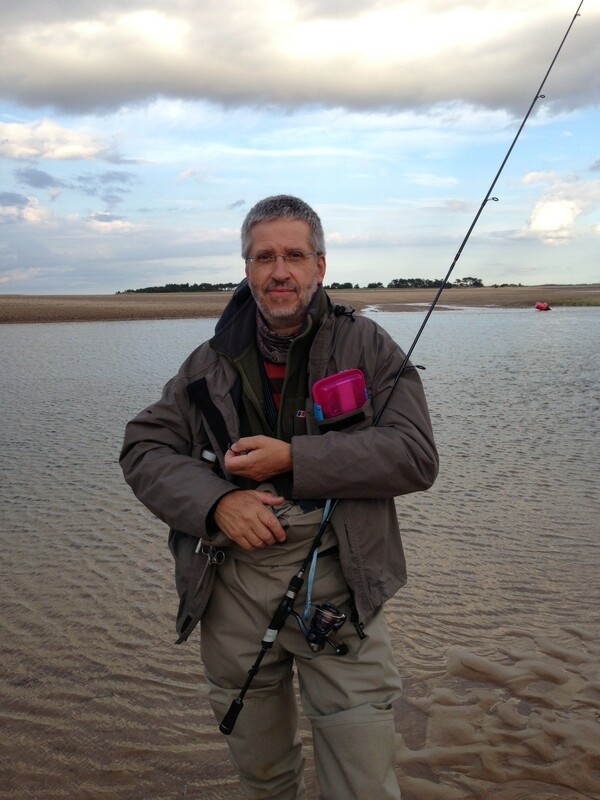 The following evening at low tide I met Steve, a well dressed fisherman that was targeting bass and flatties. 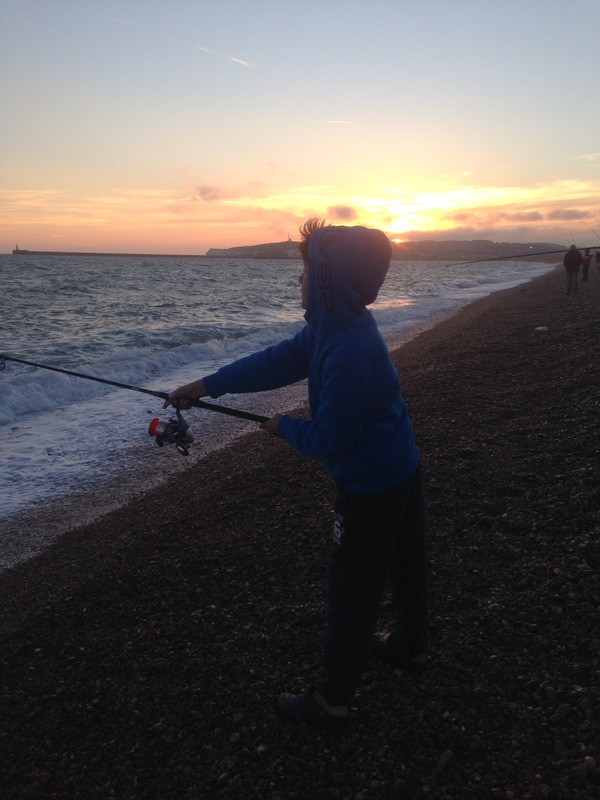 Tackled up with extremely light gear, small jig heads, poppers and spinners he made his way up the beach casting his baits a fair distance with his beautifully balanced rod, line and reel. Fishing 6lb line he could cast his 5g jig head 30 yards and work the current perfectly. We chatted for a while about the virtues of fishing light gear and he pointed me in the direction of a tackle shop in Cornwall called the Art Of Fishing, where I could acquire a fine 7-8ft spinning rod like the one he was fishing with. As Cornwall is our next location a visit to the shop in Falmouth will be on the agenda, so thanks to Steve for the advice. 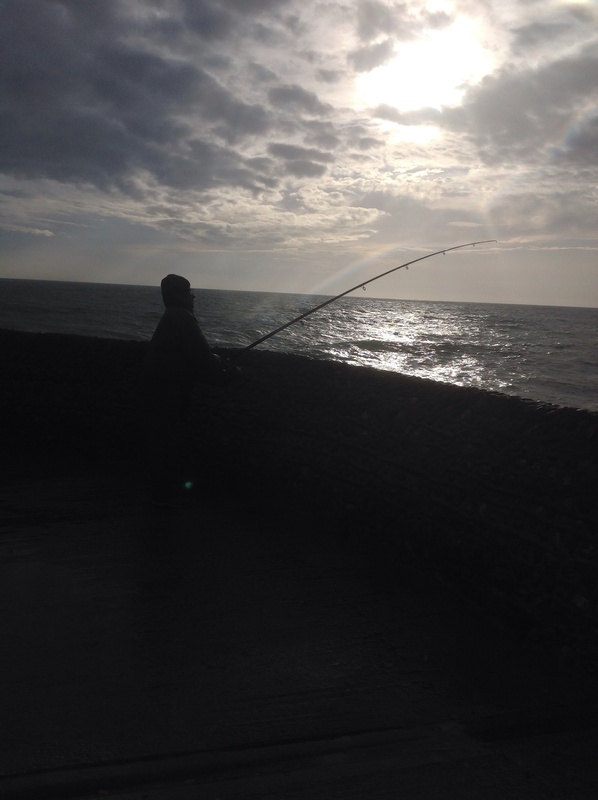 I hope he managed to catch a fish, as the last I saw of him was as an isolated silhouette of a figure in the distance but with ripples here and there of mullet or possibly bass on the evening tide. So onwards to Falmouth for our next adventure. 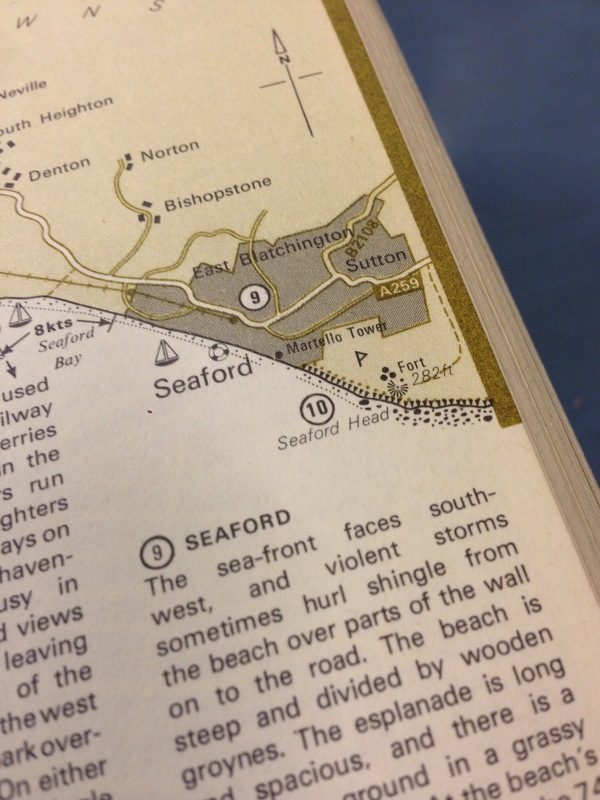 It’s that time of year when we pack our bags and head to the North Norfolk Coast for our annual vacation. This year it will be a short stay as we will also be heading to the south-west to Falmouth and the Lizzard in a few days time. The car will be packed with a couple of vintage sea rods, a fly rod for bass fishing and we’ll take a new addition to the collection of rods a Chapmans Shelford split cane rod. Paired to these rods will be a dependable Mitchell 306 and Abu Cardinal 77 for the sea rods, an old Shakespeare Beaulite for fly fishing for bass and a Mitchell 300 for the Shelford. 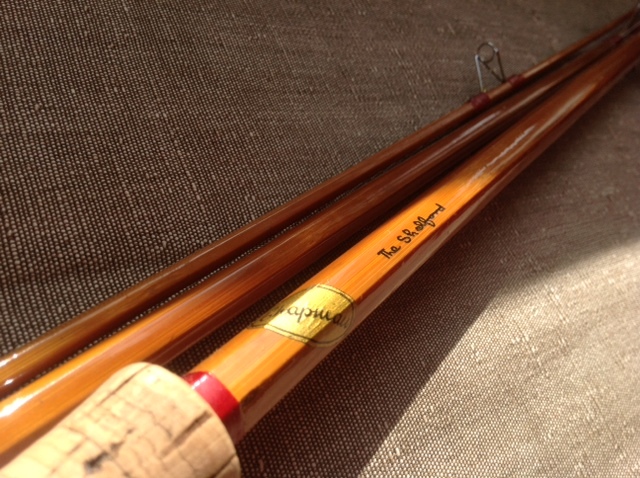 The Chapman Shelford split cane rod was a great find, purchased from a lady in Manchester, it was the prized rod of her late husband. The Shelford and Amwell were both 11′, 3 piece bottom rods made in the 50’s. Chapmans made an Amwell SP during the 60’s but the longer 12′ and 14′ Hunter version were made in the mid fifties. These rods are now fetching good money on the second had market and a mint condition Shelford or Amwell will set you back £150-250. I recently saw a ‘Peter Stone 600, 10’, 3 piece and a Peter Stone Ledgerstrike 2 piece make £295 on eBay. Some other split cane coarse rods have been trading hands at £600-700, does this indicate a trend towards vintage rods and a preference to cane over modern carbon composites? I will be writing up about my recent meeting with Chris Clemes and his fantastic Harmony and Symphony fly rods which I tried out in Green Park in St James’s of all places. 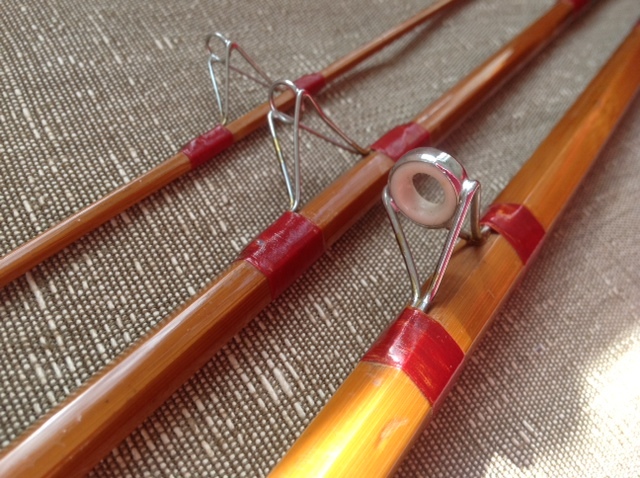 These split cane rods I classify as ‘tools of the trade’, simply one of the most balanced and beautifully made rods I have ever tried, effortless casting with silk line and married to one of his own hand-made reels that are made with the precision of a watchmaker. See http://chrisclemes.co.uk for further details. 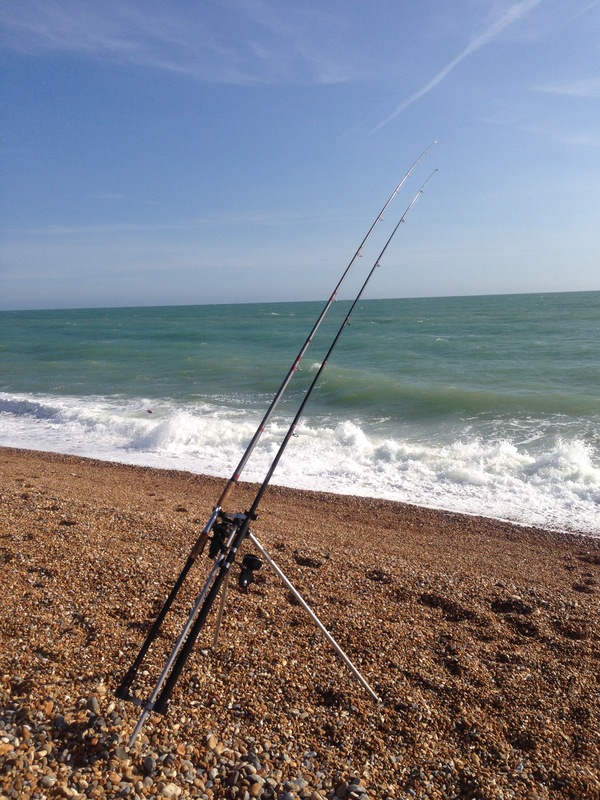 I hope to be able to report back in a few days details of our fishing exploits and hopefully a picture of a bar of silver from the beach at Salthouse or Weybourne. There will be without question the annual crab catching competition from the Albatros moored at Wells-next-the-Sea see http://www.wells-guide.co.uk whilst I partake in a pint of Woodforde’s Nelson’s Revenge or Wherry Bitter. 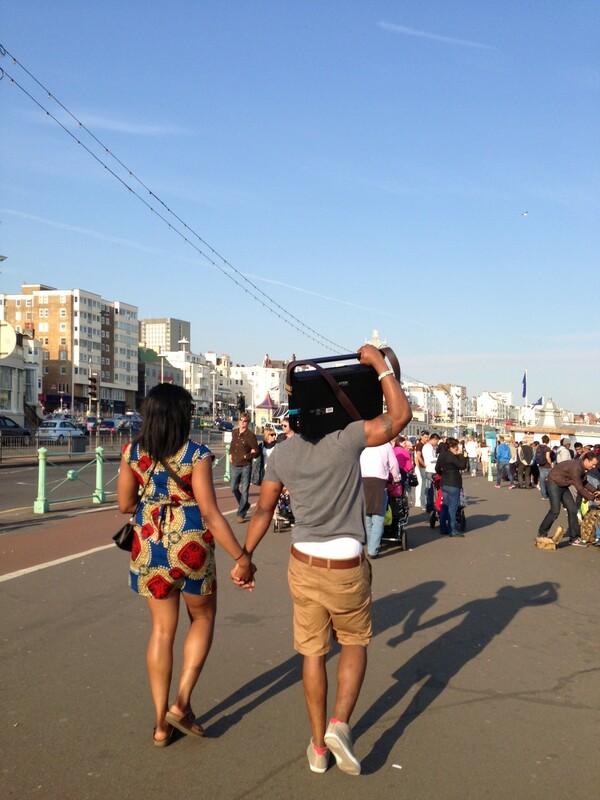 On a bright and sunny May Bank Holiday the promenade in Brighton was full of people, some walking along with their own sound systems but in the main people were out walking as others sat outside bars drinking in the afternoon sun. Musicans and The Birdman played their instruments, artists and street traders sold their artifacts and booksellers sold their books from boxes. Laughter and screams filled the air as children played on the beach and people watched in awe the wheel at the end of the Palace Pier. 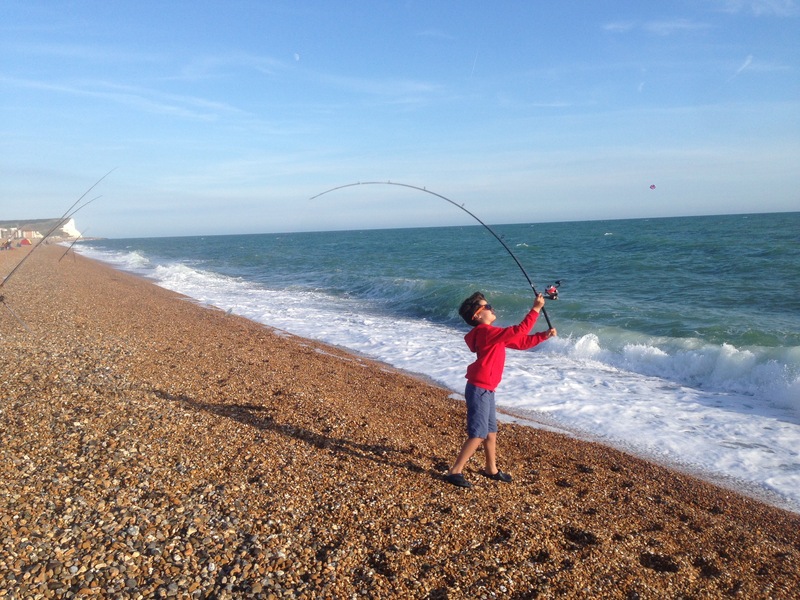 We walked from the Marina along the pebble beach momentarily stopping to cast a line out in search of a bass or mackerel on the high tide, unfortunately the sea was full of bloom so made it difficult. Little Tales had spotted the dramatic change in colour of the sea as we made our way down the hill via Rottingdean, from the top of the hill towards the Marina you get a good view of the sea to the west of the West Wall. After an hour or so of casting out with a 40g Dexters and no contact we decided to call it a day on the fishing front. We had decided earlier not to fish with the hoards of ‘Mack’ bashers casting out from the Marina Wall, shoulder to shoulder they were casting out towards the edge of the bloom into clearer water, for their efforts some were rewarded. Crossing up and over the pebble beach we took the path by the electric railway and strolled into Brighton. In the back of my mind I was thinking about if I may find one of Anon’s ceramic bottles. 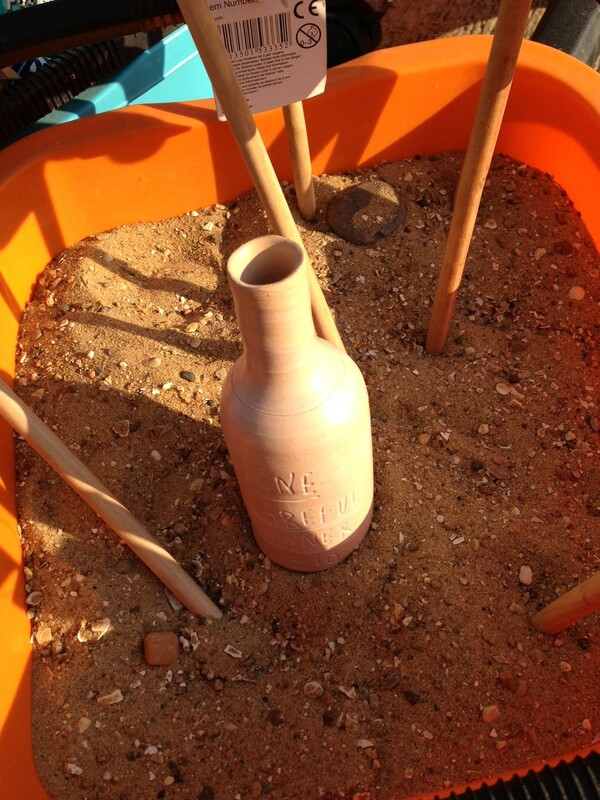 Having read a post on REDDIT about a new ceramic bottle placed around Brighton during the Brighton Festival I did just wonder if we would find one. Last month Anon had placed some other ceramic bottles out in Brighton but with the line,’Take Me Home’ and ‘I’m going outside, I may be some time’. As the hours passed our skin started to radiate from the warmth from the May sun. A short stop at Alfresco was needed to be rehydrated with a cold beer and on the walk back to the car, Little Tales had earned his ice cream. Whilst waiting for his cone I was looking down at some sea-side paraphernalia, beach buckets, water guns, windmills and shells, only to see, there, in the bottom of a sand filled basin was one of Anons ceramic bottles with the inscription ‘One Careful Owner £10’, as luck would have it I found what I was really looking for.